As an RV owner, you understand that there is nothing like the feeling of cruising along a wide-open highway towards your next big adventure. The enduring appeal of the RV lifestyle continues to grow as a new generation of RVers discovers that owning an RV is a cost-effective way to travel almost anywhere in the country. RVing offers freedom from the hassles of airline schedules and is a convenient and pleasurable way to spend vacations outdoors with family and friends. For more than 100 years, recreational vehicles have been traversing the nation’s highways and scenic byways. 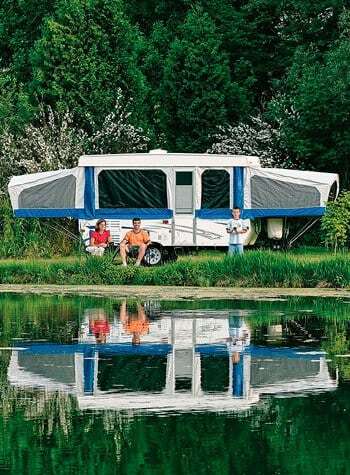 Today, the most popular RV types in the United States are folding camping trailers, lightweight travel trailers, compact motorhomes, Type C motorhomes, and Type A motorhomes. Parking an RV in front of your home can be a challenge if you live in a neighborhood with CC&Rs. Homeowner associations regulate the use and appearance of neighborhoods and rarely permit RVs to be on the streets or in driveways for an extended period. City ordinances also regulate parking on private property as well as city streets, and they can prohibit you from parking oversized vehicles in front of your home except for the purpose of loading or unloading. Some cities even restrict the amount of time this is allowed to 48 hours in a one-week period. Be sure to check your city ordinances to find out about RV parking rules. This leaves RV owners asking, “Where can I store my RV?” and wondering, "How much is RV storage going to cost?" RV storage fees vary, and can range anywhere from $75 up to $450 per month or more depending on the size of your RV, where you live, and the type of RV storage features you choose. These may seem like high storage fees, but consider the price range of RVs. Lightweight folding camping trailers can sleep up to eight people, and range in cost from $5,000 to $22,000. On the other end of the spectrum, Type A motorhomes are the roomiest and most luxurious of all RVs and typically start at $60,000 and range in price all the way up to $500,000. 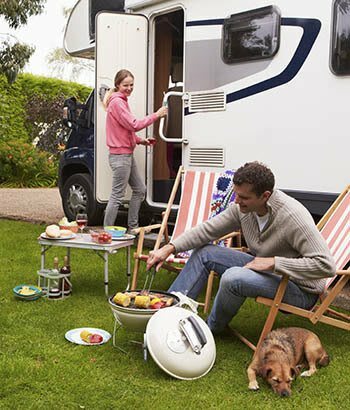 An investment in any recreational vehicle is substantial and represents an investment that you will want to protect from theft and vandalism as well as from overexposure to sun, wind, and snow when not in use. RV owners use self storage facilities as a safe place to park their vehicles in between trips as well as for winter storage when freezing temperatures and heavy snowfall can cause damage. Whether you purchase a motorhome, camper trailer, or sport utility trailer, you want to enjoy it for years to come. In between trips and vacations, there are several advantages to parking at a well-lit, secure, and reliable Metro RV storage facility. As an RV owner, you understand there is nothing like the feeling of cruising along a wide-open highway towards your next big adventure. The enduring appeal of the RV lifestyle continues to grow as a new generation of RVers learn how RVing is a cost-effective and convenient way to spend outdoors with family and friends. Metro RV storage facilities are designed with your RV lifestyle in mind and located in cities and large metropolitan areas that are in proximity to popular outdoor destinations including National Parks, amusement parks, camping resorts, and lakes. Just like “big box” stores such as Walmart, Best Buy, and Ikea, the storage industry also has large publicly traded storage corporations. However, Metro Self Storage stands out from the crowd because we are a family-owned storage provider, and we have been serving people just like you for more than 40 years. If RV and boat storage is available at your local Metro Self Storage facility, you will find information about RV storage amenities on the facility’s website including security features and its proximity to local outdoor destinations. All of our RV storage facilities offer extended access hours, a professionally trained storage team, and a customer service telephone number for after-hours calls. You can count on Metro to help make life more manageable. Our goal is to provide you with the best storage experience in the industry and meet all of your household, business, and recreational vehicle storage needs. We pride ourselves on creating relationship-driven facilities where people come first. Metro Self Storage is an independent company with well-maintained facilities, excellent security, and above all, outstanding customer service. Preeminent Security: Metro invests in state-of-the-art security systems to protect your RV while it is parked at one of our storage facilities. Our RV storage facilities have security cameras strategically located throughout the properties. Many have advanced systems such as motion detection lighting and 24-hour recorded video surveillance. Secure Electronic Gate Access: Metro customers are given a unique access code to enter our storage facilities through an electronic gate keypad. At select locations, the PIN also activates an individually alarmed storage unit or area, which adds another layer of security to storage units and RV parking spaces. Convenient Access: Metro RV storage facilities feature wide-paved drive aisles for easy maneuverability, and are located near major freeways and interstates that lead from one end of the country to the other, and lead to the best outdoor destinations in the US including National Parks, camping resorts, lakes, and more.